The lemon (Citrus × limon) is an evergreen tree native to Asia. 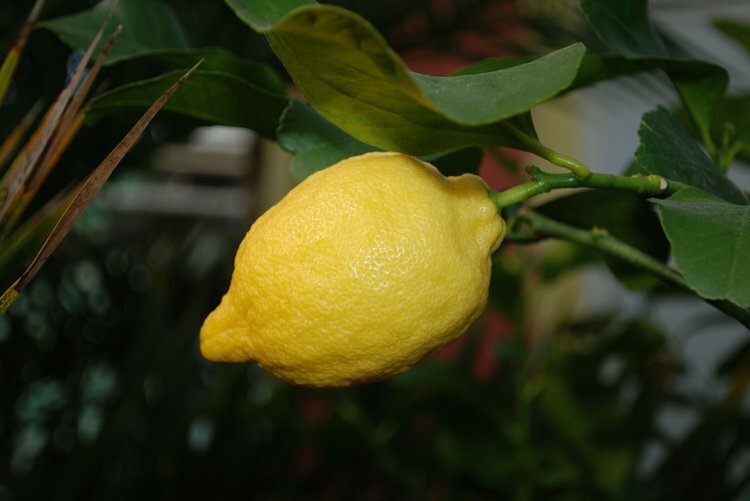 The ellipsoidal yellow fruit is about 5 percent to 6 percent citric acid, which gives lemons a sour taste. The lemon (Citrus × limon) is an evergreen tree native to Asia. The ellipsoidal yellow fruit is about 5 percent to 6 percent citric acid, which gives lemons a sour taste. Lemon juice, rind, and zest are used in cooking and baking for a wide variety of foods and drinks. Lemon juice is used to make lemonade, soft drinks, and cocktails. Here are the 7 health benefits of lemons. 1. Lemons can help calm you and your blood pressure. Researchers from the Catholic University of Korea suggested that a blend of oils of lemon (Citrus limonum), lavender (Lavandula angustifolia), and ylang-ylang (Cananga odorata) in a 2:2:1 ratio for aromatherapy is effective in lowering systolic blood pressure and sympathetic nervous system activity. 2. Lemons can help fight various types of cancers. Studies have concluded that there was an inverse association between flavonoid intake with vitamin C, found in lemons, and esophageal cancer risk. Those who ingested more lemon water had a lower risk of developing squamous cell esophageal cancer. 3. Lemons can fight particular types of bacteria. Lemon juice and lemon-like products have been found to kill Vibrio cholera bacteria and act as a biocide. 4. Lemons can help you fight infections. One fluid ounce of lemon juice contains 23 percent of the vitamin C daily requirements. Vitamin C is a powerful natural water-soluble antioxidant that helps the body develop resistance against infectious agents and eliminates cancer-causing free radicals in the body. 5. Lemons can help slow down aging. Sufficient vitamin C intake does not only improve the immune system but can also contribute to create and maintain collagen, an essential protein found in hair and skin. 6. Lemons can help treat individuals with obesity. Researchers from the Sugiyama Jogakuen University have found that dietary lemon polyphenols suppressed body weight gain and body fat accumulation. 7. Lemons are loaded with antioxidants. Researchers from the Munich Technical University have found that antioxidants, found in lemon oil, like alpha-tocopherol, beta-carotene, lycopene, gamma-terpinene, are efficiently slowing down the oxidation of low-density lipoprotein (LDL) or “bad” cholesterol. When this happens, the individual has at a lower risk of atherosclerosis. Graßmann, J., Schneider, D., Weiser, D., & Elstner, E. F. (2001). Antioxidative effects of lemon oil and its components on copper induced oxidation of low density lipoprotein. Arzneimittelforschung, 51(10), 799-805. Fukuchi, Y., Hiramitsu, M., Okada, M., Hayashi, S., Nabeno, Y., Osawa, T., & Naito, M. (2008). Lemon polyphenols suppress diet-induced obesity by up-regulation of mRNA levels of the enzymes involved in β-oxidation in mouse white adipose tissue. Journal of clinical biochemistry and nutrition, 43(3), 201-209. Cha, J. H., Lee, S. H., & Yoo, Y. S. (2010). Effects of Aromatherapy on Changes in the Autonomic Nervous System, Aortic Pulse Wave Velocity and Aortic Augmentation Index in Patients with Essential Hypertension. Journal of Korean Academy of Nursing, 40(5). Rossi, M., Garavello, W., Talamini, R., La Vecchia, C., Franceschi, S., Lagiou, P., ... & Negri, E. (2007). Flavonoids and risk of squamous cell esophageal cancer. International journal of cancer, 120(7), 1560-1564. Miyake, Y., Mochizuki, M., Okada, M., Hiramitsu, M., Morimitsu, Y., & Osawa, T. (2007). Isolation of antioxidative phenolic glucosides from lemon juice and their suppressive effect on the expression of blood adhesion molecules. Bioscience, biotechnology, and biochemistry, 71(8), 1911-1919. DE CASTILLO, M. C., DE ALLORI, C. G., DE GUTIERREZ, R. C., DE SAAB, O. A., DE FERNANDEZ, N. P., DE RUIZ, C. S., ... & DE NADER, O. M. (2000). Bactericidal activity of lemon juice and lemon derivatives against Vibrio cholerae. Biological and Pharmaceutical Bulletin, 23(10), 1235-1238.